It’s here! 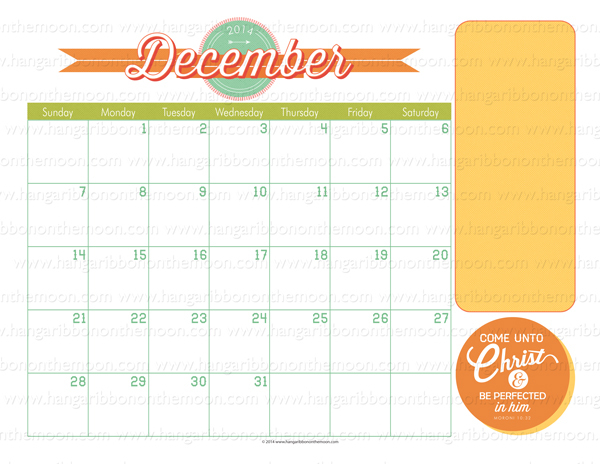 My much-requested 2014 Mutual theme editable/saveable calendar is ready for you! I created this easy-to-use calendar to help you (and me!) with yearly planning and scheduling. It features one of my 2014 Mutual theme logos with space on each month page for notes, announcements, scriptures and thoughts. And, because I made an editable/saveable PDF file for you, you can quickly add your information to each month in a snap. Simply open up the PDF file in Adobe Reader (get it free here if you don’t already have it), click on the space you want to edit and type. Then save and print. The PDF file includes a cover plus a page for each month with text fields for your information in each day square and in the sidebar area. 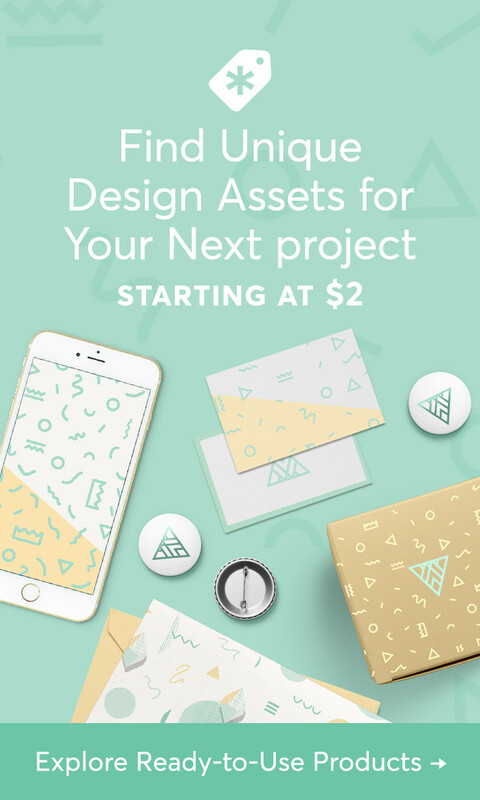 If you want to get even more customized, I’ve included JPEG files of each month so you can import them into your favorite word-processing or graphic-editing software and add your changes. 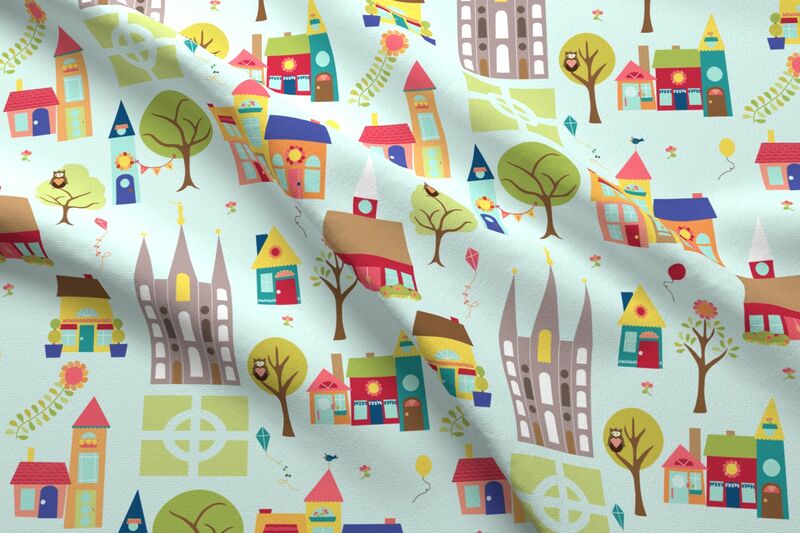 The JPEG of the cover is also included. You can download my calendar files below. Remember, please DO NOT SHARE my files. 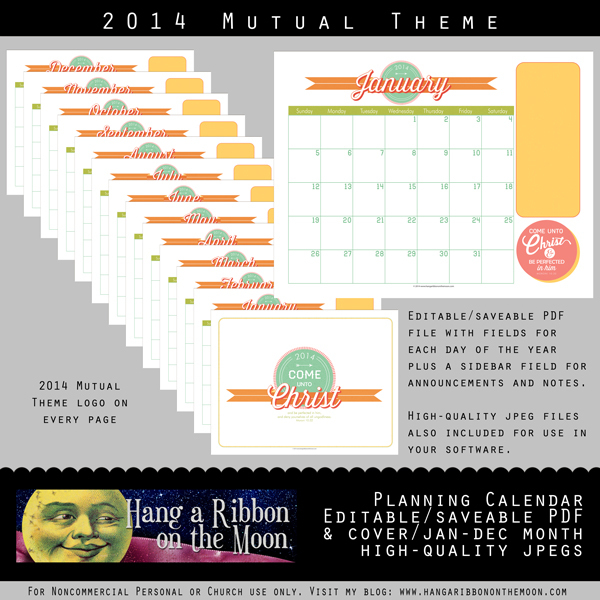 Download my 2014 Mutual Theme Calendar here. Don’t miss a post or new printable! Follow this blog by email (sign up in the right-hand column) and friend Hang a Ribbon on the Moon on Facebook. Thanks so much for all of your support! Enjoy! Previous Holiday Storyteller: Sign Up FREE! I have LOVED this calendar this past year and was hoping and hoping you would do it again for 2014!! Thank you SO much for sharing your talent and helping us stay organized! These are so helpful and darling. Thank you again and again!! I LOVE all of your printables and handouts. Thank you so much for making them available to everyone. I know that the last 2 years you have created a candy bar wrapper for the current theme. Is there any way you could do one for 2014 theme? I love it in the big size too. That way you can give the lg. symphony bars. Thank you for all that you do and share. I love your calendars… Is there any way you could do one in Portrait??? They would fit better in our binders?THANKS!!!!! FANTASTIC!!! Love that the PDF is editable. Just one question – is there anyway you could have a blank version? Would love to ‘Australian-ise’ it with our public holidays as you have done with the US holidays. Hi Lisa! It is pretty labor-intensive to make editable PDFs (I have to create/format/place each text field), however, I can probably get you holiday-free jpegs which you can import into Word, Photoshop, Photoshop Elements, etc. and add your holidays and info. OK I understand. Sounds good thanks. thank you! We are using this in China!!! So happy you are willing to share to all especially we are so far… LOVE the creativity! thank you so much for sharing such an incredible talent. This is awesome..I have been using your calendars here in American Samoa for the past year and I love it. Wanted to add my thanks for sharing your talents and cute stuff!! HELP!! I cannot get it to download so I can edit and print. What am I doing wrong? Great, thanks, we’re using it here in the Netherlands also 🙂 Since we are in a Military Ward most do not speak any Dutch so having calendars with the american holidays on there helps. We adjust them by adding the Dutch holidays in there also. This is wonderful…I’ve been using a plain Word calendar this past year for our YW, and trying to figure out how to incorporate the theme and make it a little more fun. This is exactly what I was looking for…thank you!!! I love this idea!!! I can’t open it up……HELP!! I was able to unzip it however only the cover came as a editable pdf. Is there something else I need to do? Thanks, I love your creations!! Love it! Thank for sharing! I just found you! I love you! Where have you been all my life?! I have been in the YW program, as an adult, for 17 years and counting. Thank you for making my calling that much easier! Thank you so much for the cute (and helpful!) calendar. Everyone is loving it. Question: I’m able to save it, print it, and e-mail it, but when opened on phones and tablets, my edits don’t show up. They do show on my laptop though. Weird! Any idea how to fix the problem? Hi Ali! I’m thrilled you love the calendar. I googled your problem and found out that, at least for now, many of the interactive features of PDF files are not available for all devices. It is a weird and frustrating problem, which I hope Adobe and other app developers will fix soon. It may depend on which app you are using to view the PDF. You can find more info on this problem in this article: http://indesignsecrets.com/for-interactive-pdf-not-all-readers-are-equal.php. OK. Thank you for doing the research! I appreciate it. thank you for making these available. My Beehives are really learning how to plan and stay organized and using your calendar reinforces the theme in everything they plan. Is there a way to change the font size and color? The red on orange doesn’t show up very well on the side text box, especially when printing in black and white. Other than that, LOVE IT!!! Sorry, Heidi, there isn’t in Adobe Reader. However, you can use your own fonts and font colors by opening up the JPEG files in Word or other similar software and using text boxes. Thank you for the beautiful calendars! How kind of you to make this available for free.